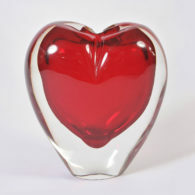 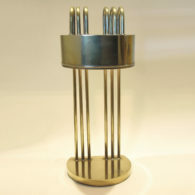 27cm high x 28cm diam. 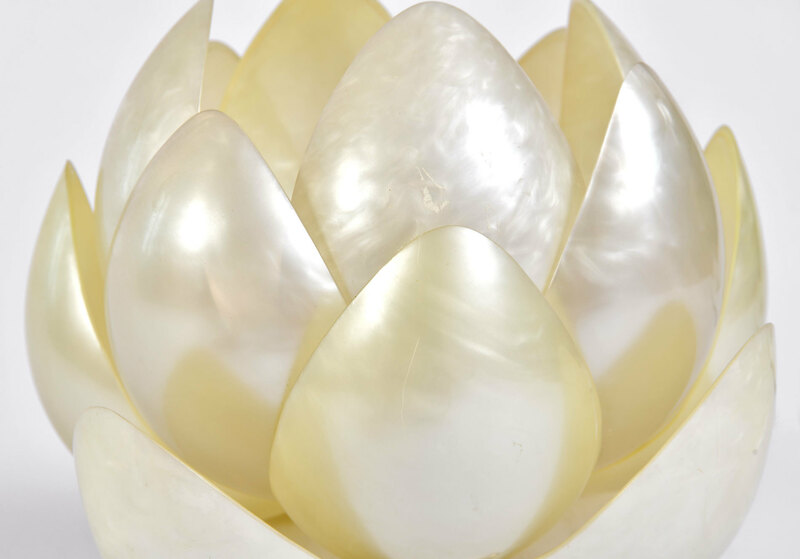 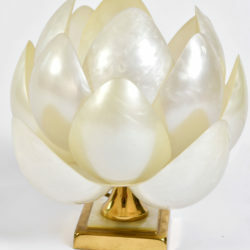 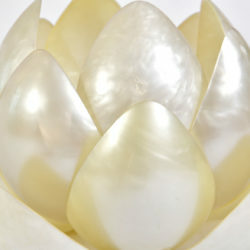 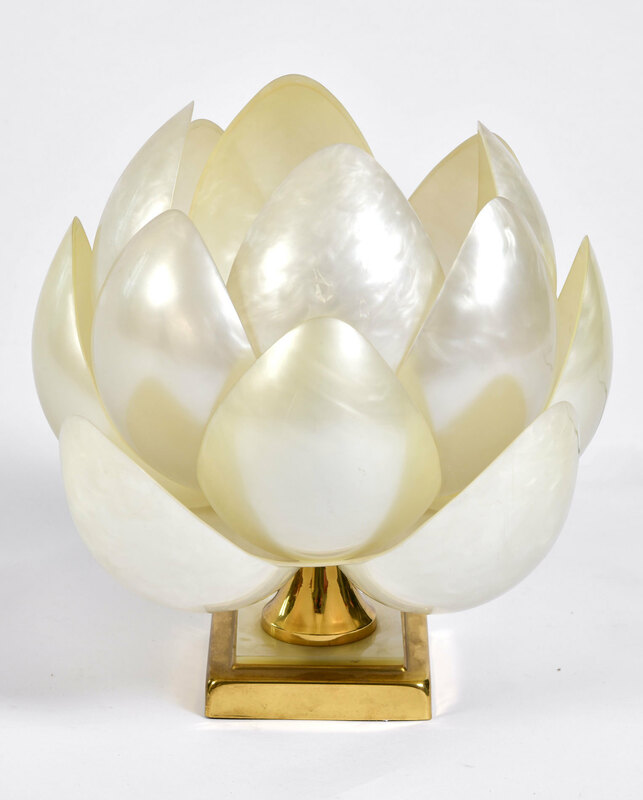 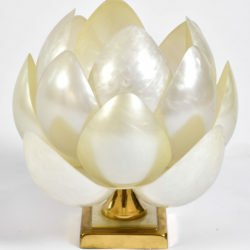 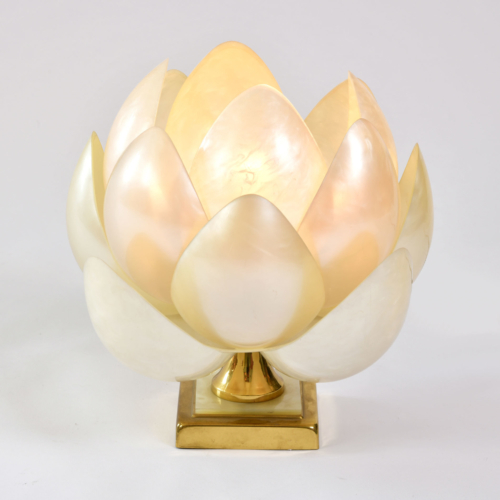 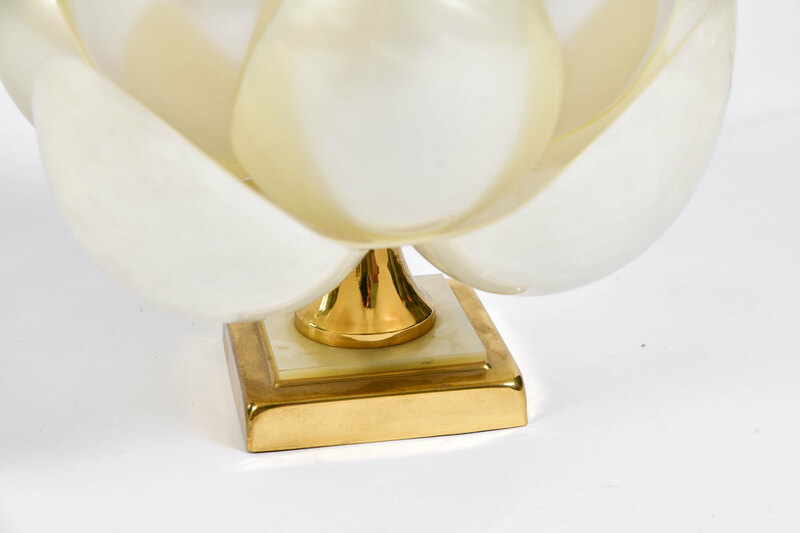 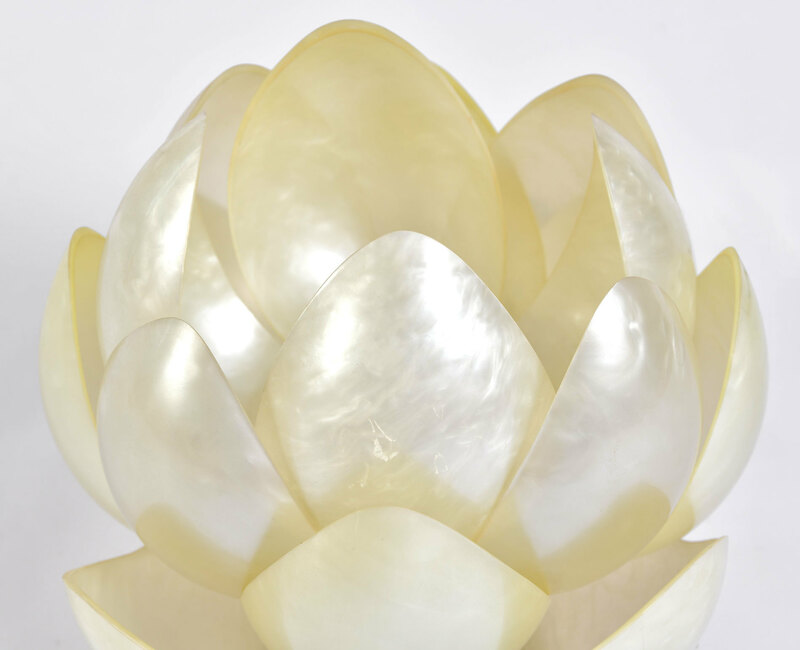 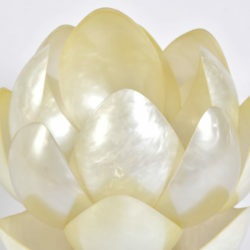 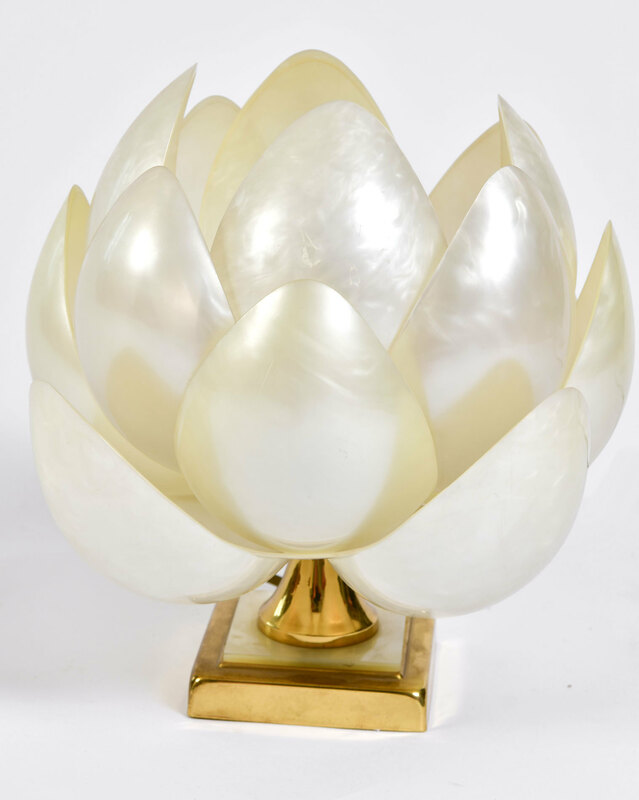 1950s Italian table lamp in the form of a lotus in full bloom, cast in acrylic. 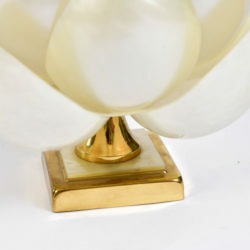 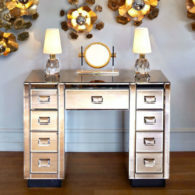 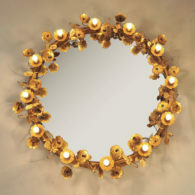 Tiered brass and cream acrylic base.